Offering you a complete choice of products which include POS Rolls. 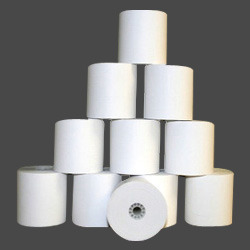 Quality approved material is employed for the manufacturing of these POS Rolls. Our offered rolls are small in size and can be obtained from us in many specifications. Appreciable in working, these rolls are made very carefully under the guidance of experts. Moreover to this, our presented rolls are light weighted. By: Nutech Business Solutions Pvt. Ltd.